Jamela, a Palestinian refugee who moved from Iraq to the UK five months ago told me recently how important learning English was for her. She said she wanted to feel independent and confident when dealing with day-to-day tasks, like shopping and visiting her GP. Like many people we work with, Jamela believes that speaking English will enable her to meet new people and build new friendships, which will help her combat the isolation and loneliness she sometimes feels. 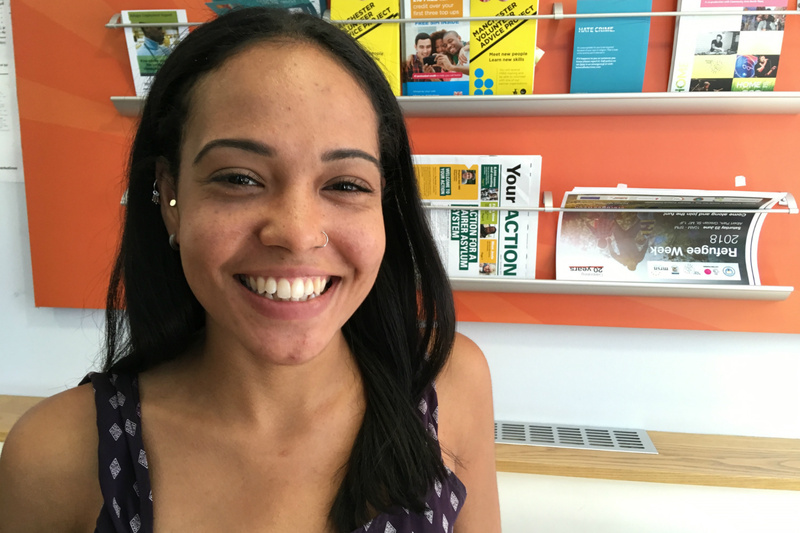 Jamela is just one of many Gateway clients who feel that learning English is vital to integration. As soon as people step off the plane and go to their new homes, they ask us about English classes. Even those who we believe have strong English, like Jamela, are so keen to learn. It is vital that clients are given the opportunity to learn English as soon as possible to help them with their integration process, whether it is to find work, self-advocate, volunteer or make friends with their neighbours. 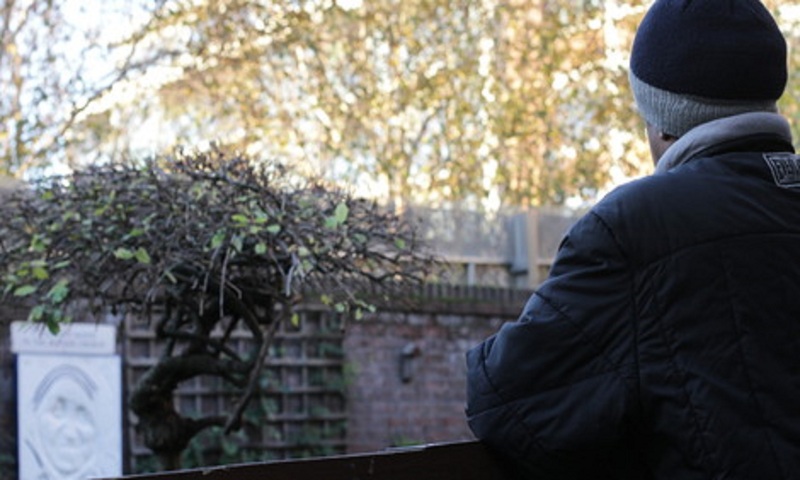 Loneliness, as Jamela describes, is also a big challenge that many of our clients face. Loneliness can particularly affect women who are resettled with their children or on their own. Some women live in remote areas and don’t have an opportunity to interact with others. Some are unable to attend English classes due to lack of childcare options. There is a hidden aspect of loneliness that we don’t always see and people don’t always tell us about. While some of our clients have access to formal English lessons, we feel that there is so much more than can be done to help them improve their language skills, while trying to adapt to their new lives in the UK. We recently thought about ways to try to encourage some of our female clients to come out and meet new people, do something fun and different together, while speaking English. 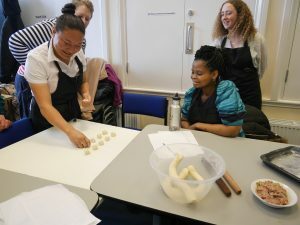 We found a perfect partnership with Heart and Parcel who offer a unique approach to English learning through the medium of cooking. 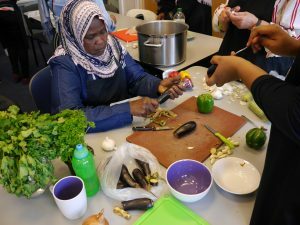 With this partnership, we wanted to promote the wellbeing and confidence of some of our female clients in everyday situations through cooking, communal eating, group work and speaking English. We recently completed a five-week project with them, which met once a week for three hours. The results have been amazing. By the second week, we saw women who had just met leaving the centre together, getting the bus to Manchester, popping into the shops, laughing and enjoying themselves. They’ve been cooking all types of different food together and practicing their English. Jeanne from Congo moved to the UK in January with her husband and 18-month-old baby. 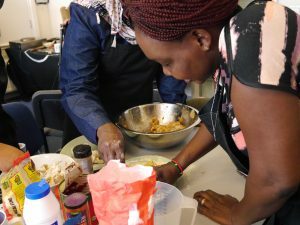 She says that one of her favourite aspects of the course was meeting people from different countries and cooking dishes of different cultures. Jeanne said that when she first arrived in the UK, she struggled with speaking to people, but the project helped build her confidence. Another client, Rowan, was the perfect fit for this project. Not only is her self-taught English phenomenal, she is an expert in baking cakes and cookies. “I love to cook and bake, it has always been my favourite hobby,” she said, while making Mahshi, a traditional dish of stuffed vegetables. She also told me about a recent friendship she made, which would not have been possible if she didn’t speak the language. It is wonderful to hear that Rowan and other women like her are making friends. 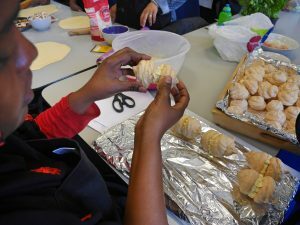 We want to see more clients feel at home and able to rebuild their lives in the UK through the acquisition of language. We want to combat loneliness and low confidence among the people we work with. So much of this comes down to access to English classes and being given the opportunity to learn. Projects like this not only help clients develop their English but remind them of the skills, knowledge and experience they already have. It isn’t always about how much you know, but how confident you feel and so much of what we wanted to develop through this project was confidence. 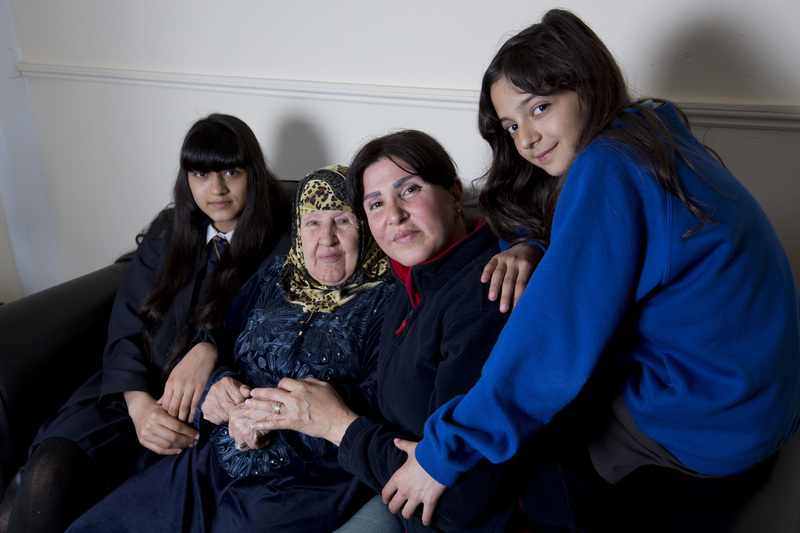 We will continue to run projects that focus on English and tackle loneliness and isolation so that more women like Jamela, Jeanne and Rowan feel confident as they continue their resettlement journey.